How to adjust scene duration ? 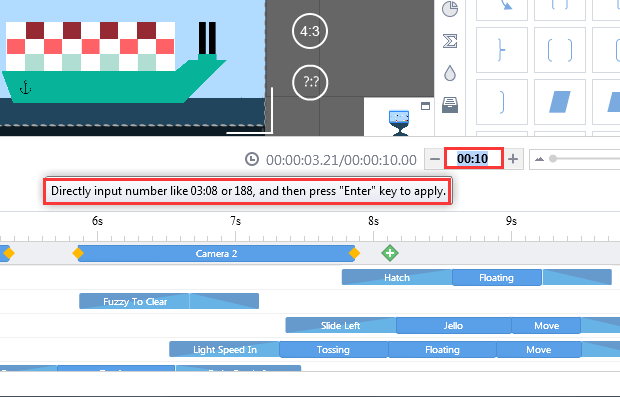 You can easily customize the scene duration in your project. Proper duration of each scene makes the project more compact. 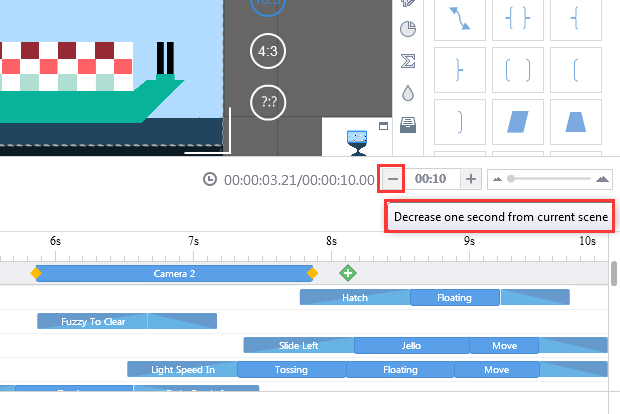 Click “+” on the right corner of the timeline to increase duration. 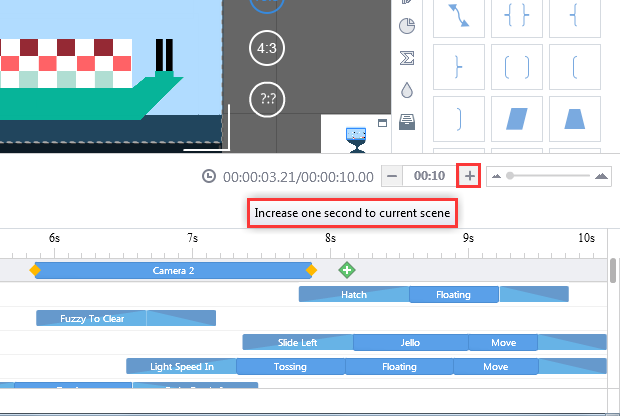 On the right corner of the timeline, you can directly enter the time into the box to modify the scene duration. Previous：How to add a folder? Next：How to add camera ?